Improving upon the widely adopted, enormously successful, "industry standard" MTL4000 Series was a big challenge but the innovative MTL4500 Series includes several new features for backplane mounting isolating interfaces. 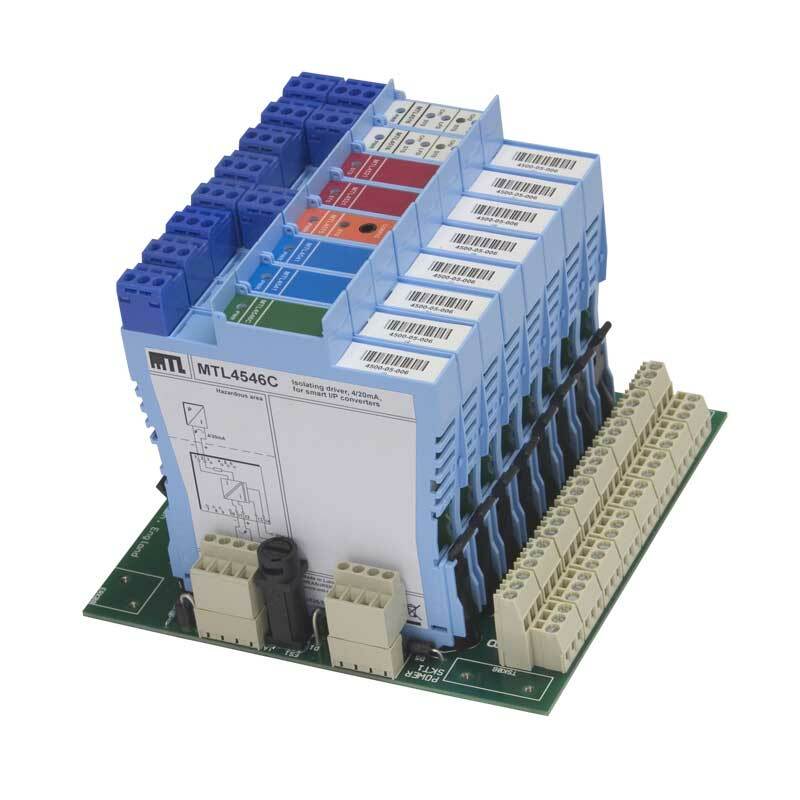 This new family easily integrates with the I/O equipment of all major instrumentation and DCS suppliers in the same secure manner as its predecessor. For non-IS applications, see the MTL4600 Series product range. Contact your local MTL office for details of interfacing to specific instrumentation and control systems. For more information about MTL Functional Safety Management <click here>.